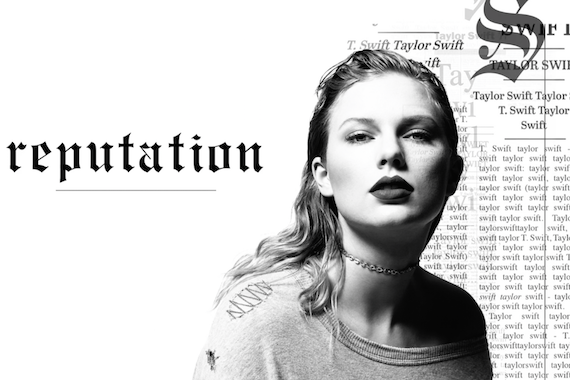 Taylor Swift‘s sixth album for Big Machine Records, reputation, marks her fourth time notching more than 1 million in sales during an album’s debut week. reputation sold 1.238 million units, though the album was kept from streaming services. The title debuted at No. 1 on Nielsen Soundscan’s all-genre albums chart. This follows Swift’s first-week sales numbers for 2014’s 1989, which met with 1.287 million in sales during its first week. Her previous debut week million-sellers also include Red (1.208 million) and Speak Now (1.047 million). Kenny Chesney tops this week’s country albums sales rankings (and at No. 9 overall), with Live In No Shoes Nation selling 33K. Last week the album was at No. 2, with 52K, following its debut week of 219K. Last week’s No. 1 album, Blake Shelton‘s Texoma Shore, moved 32K this week to land at No. 2, down from 63K in its debut week. Chris Stapleton‘s From A Room: Vol. 1 is at No. 3, with 17K, followed by Kane Brown‘s self-titled project at No. 4 with 15.6K. Stapleton lands a second album in the Top 5 this week, with Traveller at No. 5 with 15.5K. Tracy Lawrence‘s Good Ole Days greatest hits, duet album debuts at No. 16 with 7.8K. On the country streaming rankings, Keith Urban‘s new track “Female” tops the chart with 32K sold this week. He debuted the song on the recent CMA Awards airing. Chris Stapleton‘s “Broken Halos” also keeps riding the bump from his recent CMA Awards performance, with 17.5K sold this week. LANCO‘s “Greatest Love Story” moved 17K this week, followed by Kane Brown with “What Ifs” (ft. Lauren Alaina) moving 15K to land at No. 4. Thomas Rhett‘s “Unforgettable” rounds out the Top 5 with 13K. The top country debut song this week is Danielle Bradbery‘s “Worth It,” which lands at No. 23, moving 5.9K.